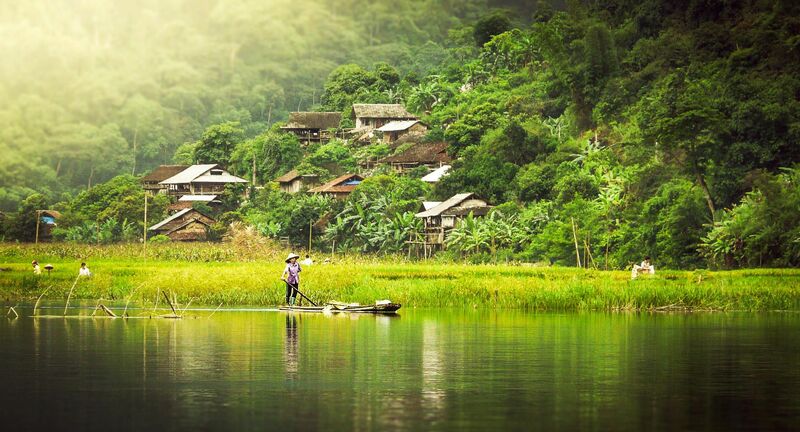 If you are lucky enough to have a week in northeastern Vietnam, then you will see some of the most diverse landscapes and incredible culture that this country has to offer. 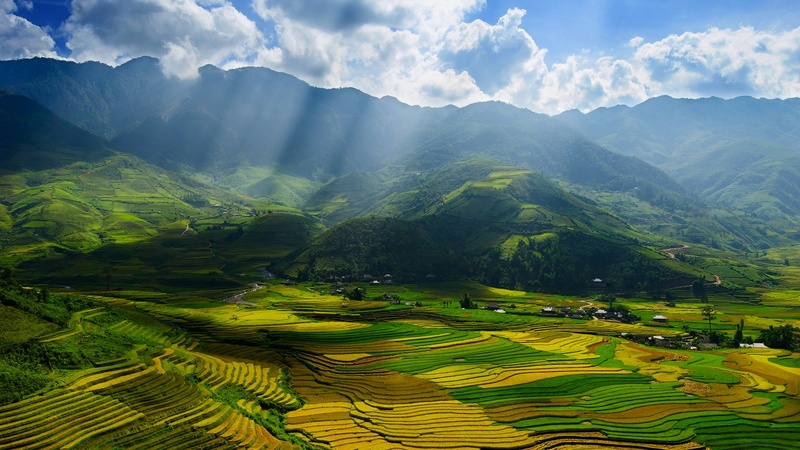 Ha Giang and Cao Bang are stunning areas in the midst of a more breathtaking landscape. Keep reading for a detailed itinerary of these two places! With its endless mountains and forests, green hills and sweeping rice paddies, northeastern Vietnam is a place unlike any other. The region’s natural beauty is absolutely breathtaking and will make a trip here one of your top experiences while in the country. To get a real feel for this area and have a chance to see some of its more remote and all the more spectacular sights, we recommend you spend at least a week here. 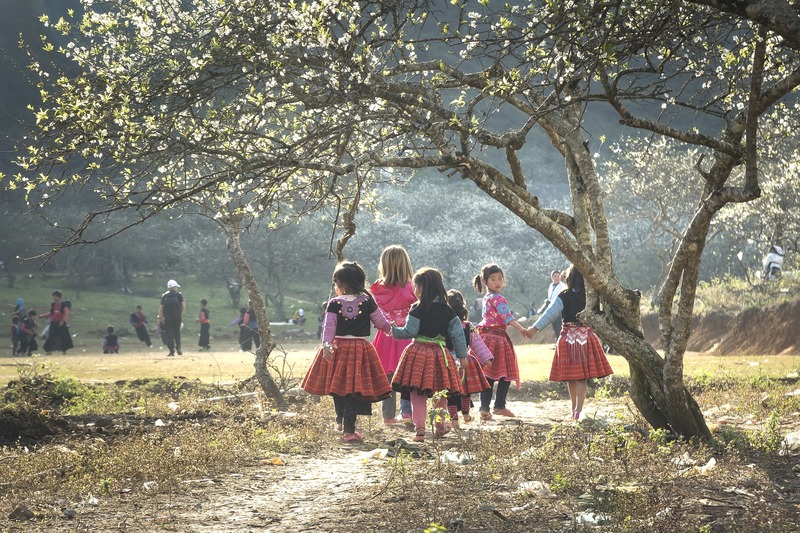 For ideas of what to see and do while touring Ha Giang and Cao Bang for seven days, read on! Northeastern Vietnam is vast so getting from one town or sight to the next can easily take you several hours. Trips are also stretched due to tight, winding mountain roads which would make it unsafe to travel too fast. But to be honest, part of the fun of exploring Vietnam’s northeastern provinces is seeing the breathtaking landscapes change in front of you as you slowly move over mountains and through valleys. Getting to Ba Be National Park is quite straightforward, thanks to Mr. Linh’s Adventures, a small local tour operator. He runs a daily bus from his office at 83 Ma May Street (7:30 AM) or from the Hanoi Opera House at 1 Trang Tien Street (8:00 AM). After the five-hour ride, you reach Ba Be National Park or you can choose to get off at one of the other stops including the boat station, Pac Ngoi village, Bo Lu village, Coc Toc village or the Ba Be Tourism Center. A one-way ticket on the comfortable A/C bus will cost you 15 USD. Since you still have half a day left, you can easily do some exploring after dropping off your bags at your homestay. With the help of a local guide, you can get out for an afternoon trek along the shores of Ba Be Lake. There you will likely come across beautiful ethnic minority villages and have the chance to visit with some of the residents and experience their quiet way of life. After your trek, make your way back to town and spend time visiting with your homestay host. Maybe you can help to make dinner or simply ask questions about their life out in one of Vietnam’s most scenic areas. Chances are, they will happily tell you stories and anecdotes and proudly share their family history with you, of course over a few glasses of the famous local rice wine. Hopefully you had a good rest because on your second day at Ba Be Lake you’ll get out there and see more of the beautiful countryside. Start your morning off with some yummy breakfast at your homestay before making your way to Ba Be Lake for a boat tour. As you cruise around the lake you’ll see people from the Tay community fishing and probably encounter a wealth of wildlife. Keep your eyes open for beautiful butterflies, rare birds and more! What makes Ba Be Lake so special, is that the crystal-clear waters and scenic views are really just half the fun. As you move along, you will soon come across Puong Cave where impressive stalactites and stalagmites await. The beautiful cave is home to a huge colony of bats, so keep a lookout and you’ll be sure to spot some of them. Once you get back to the boat station, it’s time to catch a ride to your next stop, Thon Tha village in Ha Giang province. This is another far ride, so you’ll be able to rest from your early morning excursion while enjoying the beautiful views. This leg of the trip can be a bit difficult to do with public transport, so if you want to save time and effort, the best way to go is with a private driver. This can often be arranged by local operators while you’re still in Hanoi. If you are traveling on a budget, see if there are other travelers around who want to share a car or van, so you can split the fare. As you reach Thon Tha village, you will probably feel hungry and tired. If you’ve booked a great homestay, you will be perfectly taken care of by your hosts and have a delicious dinner and a comfortable bed waiting for you. Rise and shine in the early morning to make the most of your day. Start off with a tasty breakfast with your hosts before you head off on a full-day trek around Thon Tha Village. You will need a local guide when you explore this area so in order to be fully prepared, pre-book your guided trek online. There are a number of operators who pride themselves on their collaboration with members of the local minority groups and offer great off-the-beaten-path experiences. One of them is Ha Giang Responsible Tourism. This is a team of local guides ready to show you their home region and take you to all the best spots. Your trek will start off with a walk along the endless rice terraces and past several villages which are home to the Tay people, the same community which also lives in Thon Tha village. As you move on, you will pass majestic bamboo forests and endless views of the remarkable countryside. To keep you going, grab some lunch in one of the villages you pass through or bring your own food for a picnic. If you have the option, ask your guide to take you to Ha Thanh village, a remote hamlet known for its beautiful waterfall. Maybe it’s time for a refreshing dip before you head back? When you arrive back in Thon Tha village, it’s time for another dinner with your host. If you return early, maybe you can help! Before you head out for another day of scenic views and visits to several ethnic minority villages, stop by Thon Tha market. Here you can stock up on snacks and you’ll also have a chance to meet members of various tribes. Of course, this includes a lot of fruits and vegetables, but you’ll also see many beautiful handicrafts. If you need any more souvenirs, this is your chance! Now that you’re ready to get back on the road, it’s time to set off towards Dong Van. As you drive you’ll come across countless scenic spots which will all but force you to take a break and take in the view. Make sure your camera is fully charged so you can capture some of the breathtaking beauty of nature all around you. Just before reaching Dong Van, you’ll stop in Sa Phin town to visit the palace of a Hmong king. 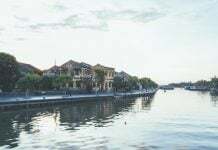 It was built in the 1920s by Vuong Chinh Duc who was the self-proclaimed king of the Hmong people and had amassed considerable wealth and influence by working closely with the French. Today, Vuong Chinh Duc’s descendants have turned the palace into a museum exhibiting artifacts used in day-to-day life during this time and the story of how he built his legacy. After all this, it’s time to finally head to Dong Van, meet your host for the night and enjoy dinner before taking on a new adventure tomorrow. Today is all about the journey! After an early start and a trip to Dong Van’s market for some breakfast and snacks, you’re off to Cao Bang. This drive is nothing short of spectacular. As you make your way along winding roads, around hills and through valleys, the fresh countryside without much human intervention will take your breath away. Your trip will lead you first to Pu Lo fortress, an abandoned French stronghold. It was built in 1890 and only used until 1945 but its ruins remain to this day. It’s only a short climb to get to the top and the views from there are amazing. Our next stop is Meo Vac, a small town in the hills which is set just before the highlight of today’s drive, the Ma Pi Leng Pass. You will cross this pass on the so-called ‘Happiness Road’ which was built after Northeastern Vietnam was liberated. It took six years and the help of countless volunteers to complete. 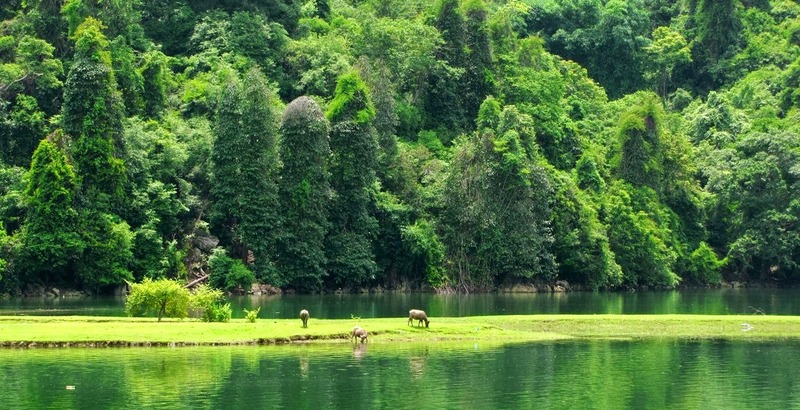 Now it connects some of the remotest areas in northeastern Vietnam. While the road itself is in good condition, its steep drops and tight curves make it a challenge even for experienced drivers. It’s not for nothing that in the Hmong language the name ‘Ma Pi Leng’ means that even horses get scared when crossing this pass. 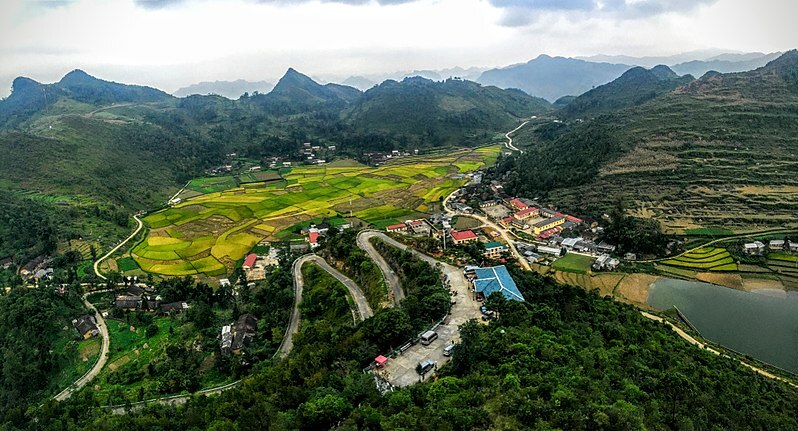 After the Ma Pi Leng Pass, we continue along scenic mountain roads until we reach Cao Bang where you can sit back and relax at your hotel or homestay. A note on driving: To navigate this wonderful yet dangerous pass, you must be an experienced driver. If your plan is to rent your own motorbike and drive, we recommend it if you’ve driven on steep, curvy mountain roads before and are comfortable with it. If you’re not that good on a bike and don’t want to hire a private car, you can book a trip with a local operator to take you from A to B on the back of their bike. That way you get the amazing feeling of experiencing northeastern Vietnam on a bike all while staying safe and having the chance to enjoy the view. Today it’s time for yet another highlight: waterfalls and caves unlike any you’ve ever seen before. Only a two-hour drive from Cao Bang, you can easily reach the caves. From 5:30 AM you’ll find busses departing hourly from the city’s main station. Make sure you check exactly when the bus goes back to Cao Bang, so you don’t end up stranded! Nguom Ngao cave will amaze you! As one of the largest caves in Vietnam, it draws a lot of curious visitors, all coming to see the mysterious-looking stalactites and stalagmites which have been growing inside the cave for millennia. While the cave stretches on for about four kilometers, visitors only have access to the first kilometer. This still gives you the chance to go deep into the cave, explore its many nooks and crannies and marvel at the effects of the recently installed modern lighting structures. Just a few kilometers from the cave, you’ll find the famed Ban Gioc waterfall. The first thing to do when you get there is get your police permit at the little station right next to the waterfall. It costs around 200,000 VND and you need to show your passport to receive it. This step is necessary because the waterfalls mark the border with China and the authorities want to keep a close eye on visitors. Once you have your permit, head towards the lake at the foot of the falls and hire a boat to take you out onto the water. 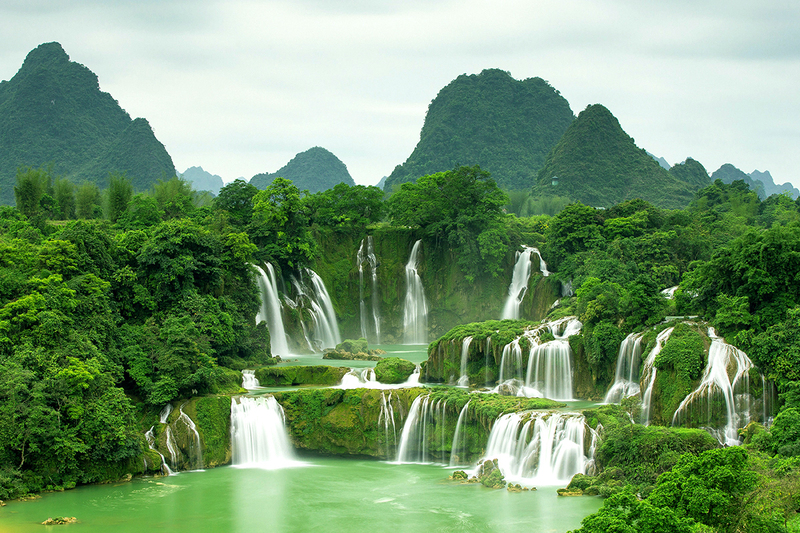 The short tour should cost you around 100,000 VND and take you right up to the waterfalls. If you want, you can even go for a swim in the cool lake. Be sure to follow your guide’s advice on where to swim. It’s not permitted in the river or close to the waterfall, so as long as you stay in the main pool you will be fine. After visiting these two spectacular sights, it’s time to head on to your next stop, Lang Son. If you’re going by private driver, you can go from the waterfall directly. If you want to take public transport, it might be better to head back to Cao Bang first to catch a bus to Lang Son from there. The ride is quite long, so you’ll have plenty of time to relax, enjoy the view and go through some of those beautiful photos you took earlier today. On your last day, it’s time to explore a city which most travelers skip. While Lang Son is a remote, small town, it has great strategic importance since it’s set right on the border with China. It’s also in a beautiful area of Vietnam so you’ll get to enjoy the wonderful countryside once more before you head back to Hanoi. You can start your day by visiting the Ky Lua market if you’re in town on the second or seventh day of every lunar month. Here you’ll see people from many different ethnic minorities come together, dressed in their colorful traditional garb, to sell their goods. If you still have space in your bag for a beautiful souvenir or two, this is where to shop! Next, you can visit the Tam Thanh pagoda and the Nhi Thanh cave which is located right below it. The 500-meter cave has countless spectacular stalactites and reminds visitors of Halong Bay’s Surprise cave. On the west end of the city, Thanh Nha Mac hill is home to ruins of an old military base and offers a great view of the city and surrounding valley. Here could be a good stop for a picnic lunch before you set out for more exploration in the afternoon. 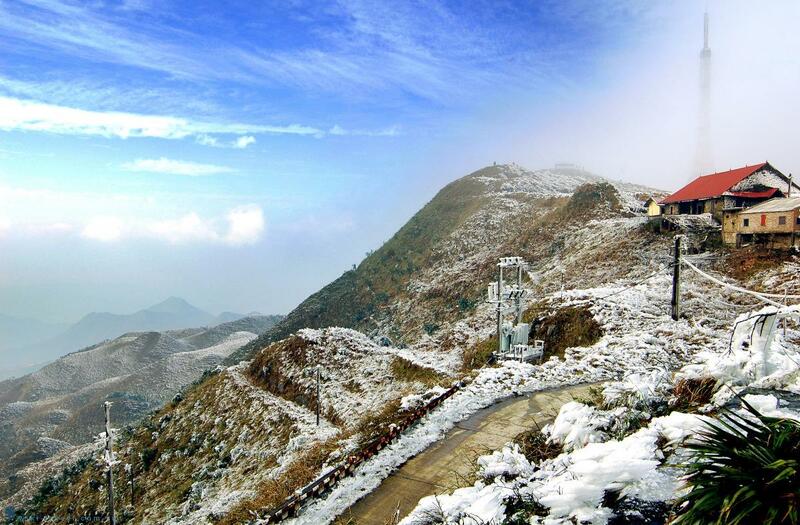 If you’re up for the drive, rent a motorbike and head to Mau Son mountain, 30 kilometers away from Lang Son. At 1,600 meters above sea level, this area is unique in that it often gets snow in the winter. Whatever time of year you travel there, bring a jacket as it can get chilly on the mountain. The views are worth it though. You’ll see countless stone houses built by the French during colonization as well as gently rolling hills covered in lush forests and green fields. In the evening, make sure you are back in town on time to catch the night bus to Hanoi. To ensure you get a seat, book your tickets in advance. You can do this the day before at the bus terminal or online. For a good night’s sleep, book the VIP bus which comes with a comfortable berth where you can recline properly and get some real shuteye. While traveling around northeastern Vietnam, the best places to stay are usually homestays. This gives you the chance to meet and interact with locals in a way you never could at a hotel or hostel. By booking a homestay, you can also be sure that you’ll get delicious home cooked meals and get to try many regional specialties you might have skipped otherwise. Another great aspect of staying with local hosts is that it supports them and their lifestyle. Many members of ethnic minorities are forced to abandon their traditional lifestyle because they can’t survive on it anymore. By welcoming guests into their home, they can now make a regular income and care for their family without having to move to another town or city. When heading to some of the remote areas we’ve included in our itinerary, keep in mind that you might not find the same amenities you would in hotels and hostels in Vietnam’s big cities. If you can live without these luxuries for a few days, you are good to go. Curious to get out and explore Vietnam’s scenic, remote north? Then why not start planning your trip right now! 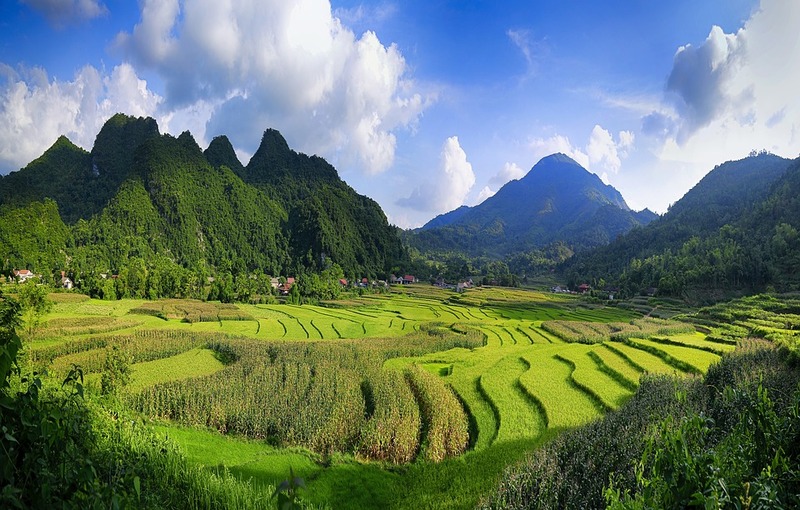 If you still need some more information and inspiration, you can always check out our other article about top spots to see in this area including Ha Giang and Sa Pa. Whatever itinerary you end up choosing, you will have the time of your life on this trip! Two Days in Ninh Binh: Do it Right!